CHASING BEAUTY provides a rare glimpse into the intriguing and complex world of modeling. Behind the glossy covers of Vogue and Glamour lie the rarely talked about, uncensored stories of what models endure and sacrifice to become a top model. CHASING BEAUTY examines body image and the psychological effects of the beauty business on young women and men. The film examines what it takes to be a top model – the demanding and oftentimes unattainable physical requirements of the position, the financial and emotional investment, and the moral negotiations that are sometimes prerequisites for making it. 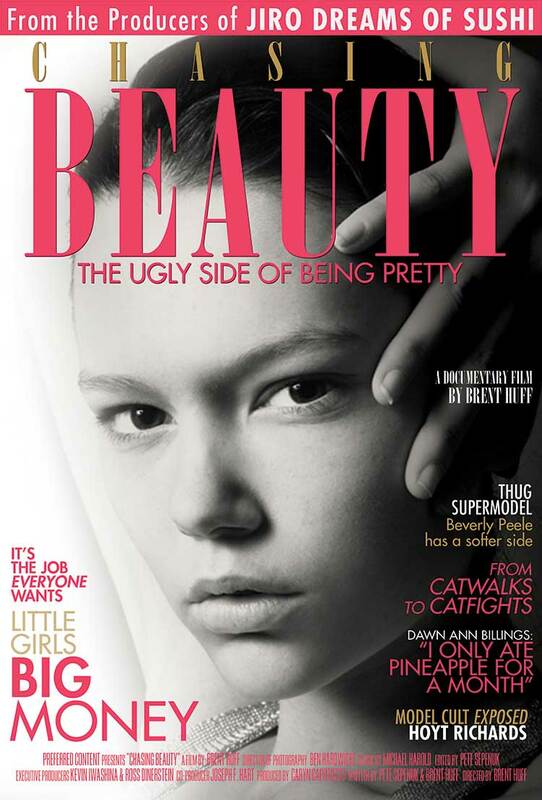 The film follows supermodels, photographers, agents, designers, plastic surgeons, make-up artists and psychologists and asks the question…what is beauty and is it worth the cost?